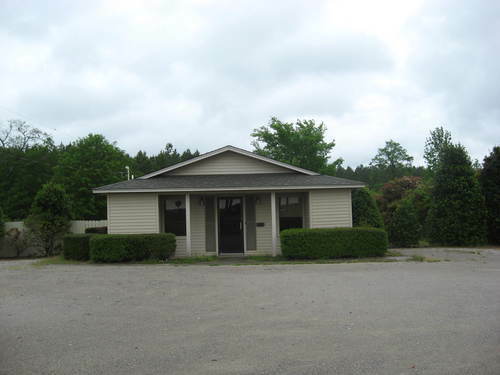 OFFICE BUILDING - FOR SALE OR WILL LEASE HWY 278 ACROSS FROM AIRPORT Across from Barnwell Airport, located inside city limits,this office building has approx. 1,522 sq. ft, with new roof, new carpet, landscaped .80 acre lot. Has 4 offices plus large reception room, kitchenette and full bath. Has well & septic tank. Includes 400' storage area in rear with floored attic. Lease for $575.00 per month. Call Sally @ 803-300-4765 to see listing # 1286. $139,900.